Diwata 1, the country’s first step in space technology went into the International ASpace Station aboard the Cygnus rocket last March 23, 2016. Cygnus had in its payload 3,375 kilograms of cargo that included supplies for the crew of the space station. Diwata 1 is tentatively scheduled to go into orbit on April 24, 2016 and is expected to undergo its mission of 20 months by taking high resolution photos of the country from an orbital distance of 400 kilometers above the earth. This will be done two times daily. The four specialized cameras will take images of the country that will provide information needed regarding weather patterns, agricultural applications that will relate to land use and management of water resources. It will also provide images to be used in disaster risk reduction and management. The micro-satellite will be utilized in monitoring natural disasters, forests and marine resources. Territorial waters monitoring will also be provided by Diwata 1. It is expected to provide 3,600 images during its lifespan. Diwata 1 is the result of a research program by the DOST-Advanced Science and Technology Institute and UP Diliman that began in 2014. This was to develop the basic and needed expertise in space technology and other allied fields in science and engineering. 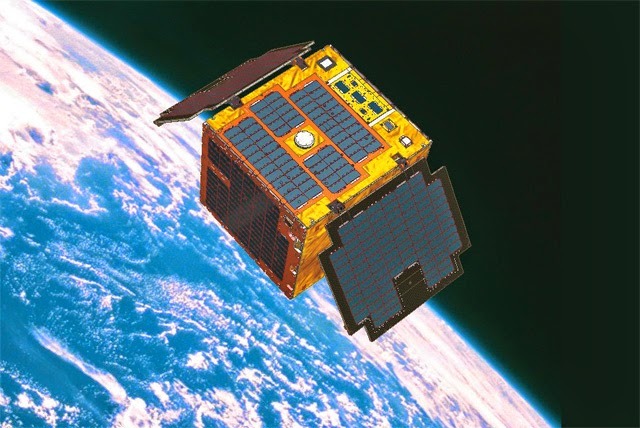 Diwata 1 was co-developed with scientists and engineers from Tohoku University and Hokkaido University of Japan. The DOST-ASTI-UP contingent is composed of 9 Filipino engineers aged 22-26. Diwata 2 is now being developed by the same DOST-ASTI-UP team and is tentatively scheduled for launch by 2017. Both microsatellites is a product of a DOST budget allocation Php3.802 million for research which is part of a 3 year Php840.82 million program as a projected foundation of a Philippine Space Agency. There is also a program for unmanned aerial vehicles for military research applications.